R. Franklin James grew up in the San Francisco Bay Area and graduated from the University of California at Berkeley. From there she cultivated a different type of writing—legislation and public policy. After serving as Deputy Mayor for the City of Los Angeles, under millionaire Richard Riordan, she went back to her first love—writing, and in 2013 her debut novel, The Fallen Angels Book Club was published by Camel Press. 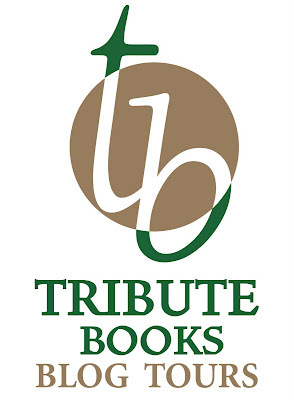 Her second book in The Hollis Morgan Mystery Series, Sticks & Stones, was followed by The Return of the Fallen Angels Book Club, and The Trade List. The Bell Tolls, book five was released in June 2017. R. Franklin James lives in Northern California with her husband. 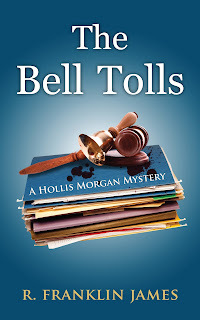 Add The Bell Tolls to your Goodreads to-read list. Hollis Morgan has survived imprisonment, received a pardon and persevered to finally become a probate attorney. Tough as she is, her newest case will further test her mettle. She discovers her client, Matthias Bell, is a deceased blackmailer whose last wish was to return the damaging documents he collected, letting his victims off the hook. It falls to Hollis to give them the good news. But it’s revealed that Bell was murdered, and the victims of “Bell’s tolls” are now suspects. Hollis’ white-collar criminal past has left her with keen survival instincts. A gifted liar she knows a liar when she meets one. A lot of people in this case are lying and one is a killer. On top of that, she’s also representing a dying stripper, a wealthy widow whose estranged daughter spurns her attempts at reconciliation, but whose husband sees the potential inheritance as mending all wounds particularly financial ones. Clients aside, Hollis is defensive and wary. Her mother, who hasn’t spoken to her for years, needs a kidney, and Hollis is a match, but neither are ready to put away the past. With Hollis’ fiancé and emotional support off on an undercover mission for Homeland Security, she must count on her own survival instincts. She is swept along on an emotional roller coaster as her absent love and her family’s coldness take their own toll. Work is her salvation. The specter of a killer keeps her focused. Hollis has always had to rely on her wits, but now she finds that others who don’t have her well-being in mind are relying on them as well.